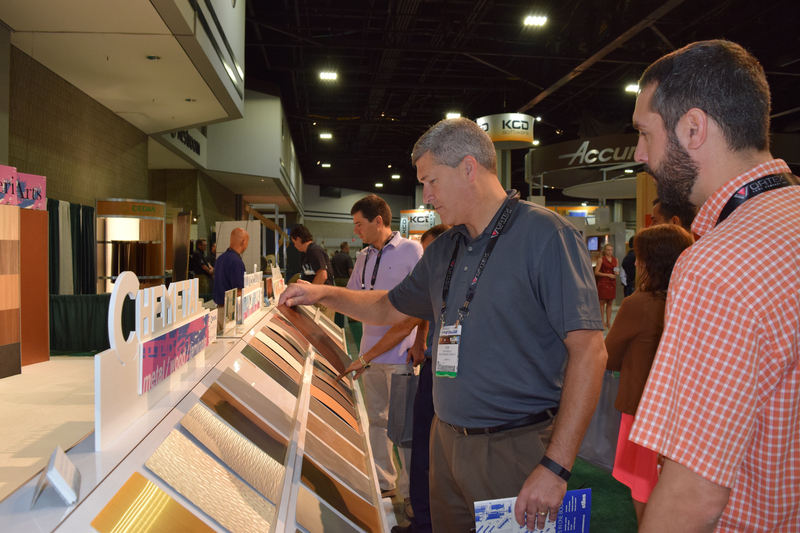 Knowing the importance of species selection in wood components, we once again asked members of the wood products industry a simple question: âWhatâs your favorite wood, and why do you like it?â Below are some of the veneers, woods or in some cases, trees, which they say earn high marks. 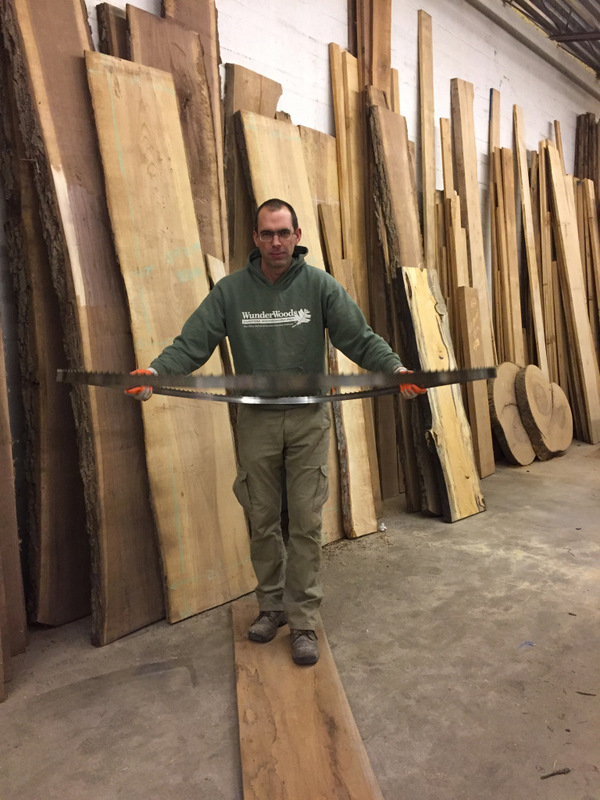 For Christian Smedberg, director of marketing at Osborne Wood Products, two woods that rate highly include walnut and pine. âBlack walnut is a noble wood that presents itself beautifully where elegance and richness are called for. Nothing is more handsome and tasteful than black walnut cabinetwork that has been properly filled, stained and finished. Paul Grant of Salmon Country Supply, is another fan of American black walnut. âIt has a rich brown color and a wonderful texture and grain pattern. Itâs just a great wood. It works nicely, machines and mills extremely well,â he said. Steve Kincaid, president of Kincaid Furniture, chose cherry as a favorite, without hesitation. âWe make traditional furniture here at Kincaid Furniture and cherry is a wood of choice,â he said. Claude Savoie, owner of Architectural Wood and Custom Millwork, is a fan of English brown oak. âI love English brown oak and keep a sample door on the wall in my office,â he said. âIt is gorgeous. Just put a finish on it and it looks like it is 200 years old and as if it âbelongs.â The funny thing is all that beauty comes from a fungus (Fistulina hepatica) also known as the beefsteak fungus,â Savoie added. The normal color of English oak ranges from a light tan, biscuit color to a medium brown. The fungus causes the heartwood of the English oak to turn a rich, deep brown. âEnglish brown oak is highly desirable. You donât know what you have until you see the log, and you might have up to 80 percent waste. We donât sell too much of English brown oak unless it is a very high-end job â it is a stunning wood,â he said. Lacewood is a personal favorite of Mike Ball, vice president of Woodgrain Doors, a division of Woodgrain Millwork Co. âLacewood (Grevillea robusta) is a beautiful wood. The colors â pink, red and golden tones â change with the light and seem to move, especially when you walk around it. The wood makes beautiful tabletops. It is a very unique wood specie and becomes a conversation piece,â Ball said. Exotics lapacho and tiger myrtle, rule for luthier and guitarist Renato Bellucci. âLapacho is Paraguayâs most sought after wood because of its amazing density and hardness. It is used mainly in construction,â said Bellucci. âGuitar builders do not use it as much because of its hardness and because it puts luthery tools to the test, but for those willing to navigate uncharted waters, the reward will be priceless. âThe sound produced by lapacho is in the same league as African blackwood or Brazilian rosewood. The wood is so dense that very little finish will be necessary to make an instrument shine. The grain is sober with a greenish tone to it,â he added. Bellucci discovered Tasmanian tiger myrtle in 2010. âI have come to the conclusion that Southern Australia and more precisely the island of Tasmania, are the cradle of some of the best hardwoods and tonewoods on the planet. Tasmanian tiger myrtle possesses an amazing grain that will immediately make you think of a wild cat. Although it is a hardwood, it bends easily with heat and finishes superbly. The combination with alpine spruce and sinker redwood is stunning,â said Bellucci. African blackwood can also be stunning, and is a favorite species of Myles A. Gilmer, owner of Gilmer Wood Co., Portland, OR. "As a young man I lived in West Africa and traveled to many other places on the continent. One such trip took me to Tanzania in East Africa. I stayed on the outskirts of the then small town of Moshi, which is situated almost at the base of Mt. Kilimanjaro. I had to stick around in the vicinity for a few days on business so I took the opportunity to go for long walks through the surrounding countryside. "It was here I first ran into the tree the locals call Mpingo, known in the west as African blackwood or grenadillo (Dalbergia melanoxylon). The shape and growth of the trees fascinated me and when I found a piece of the heartwood from a broken down tree, I fell in love with the wood as soon as I whittled it smooth with my pocketknife. Extremely dense, it had an oiliness that allowed the wood to be burnished like a piece of metal," said Gilmer. "A local tribe, the Makonde, used Mpingo in carvings and sculptures and I collected several in the local bazaar. Since then I returned to the U.S.A. and have imported many tons of the wood from various localities in East Africa and my company supplies a number of different manufacturers and end-users with blackwood. Long a favorite of ornamental turners, the nature of the wood allows very fine detail with sharp cutters, leaving a beautiful, burnished surface. But by far most blackwood is used in the manufacture of turned woodwind instruments such as flutes, clarinets, fifes, piccolos, bagpipes, etc. Its stability, oily nature, resistance to moisture, and lovely tonal qualities make it far superior to other timbers. Other uses include marquetry, inlays, other musical instruments such as acoustic guitars, decorative boxes, pool cues, knife and pistol grips, sculpture, chess pieces, jewelry, and many other precious items," Gilmer said. OâNeill said an up-and-coming look that pairs well with maple is transitional or soft contours. âMaple works well with a wide range of styles, including Shaker and contemporary, but we are seeing it moving into transitional,â she added. Stephanie Goudreau, marketing manager for Lamin-Art, is another fan of maple. âIâm a French Canadian and I love everything about maple trees. The trees have a connection to us, and they are a part of us, almost like the blood that flows in our veins. I love the hardwood and veneer from the trees and all the many wonderful qualities of the wood. From a design perspective, Goudreau also said she liked ebony and zebrawood. Jeff Behnke, co-owner with Roland Zehetbauer of Altura Furniture, has worked with western walnut in his work as a furniture designer and manufacturer. He explained that western walnut can be claro walnut or Oregon walnut, though many believe that western walnut is a hybrid of walnuts. Behnke routinely works with a variety of hardwoods and is a fan of using indigenous material. He said the western walnut tables have been a popular addition to his pieces. 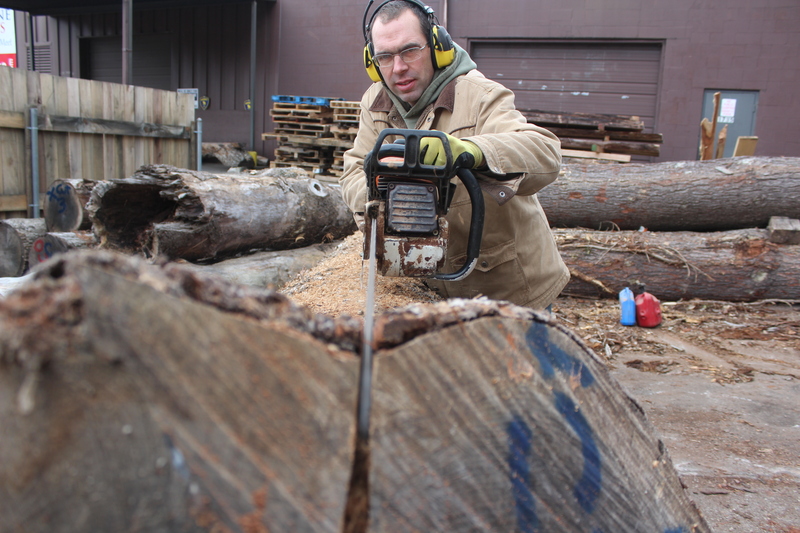 âA wood has to resonate with us and Western walnut certainly does,â he said. Jo-Ann Kaiser is a featured writer for Wood & Wood Products magazine.